CTO do Brasil have over 40 years' experience in handling special projects. Recently, the CTO Group handled a shipment to Chile. 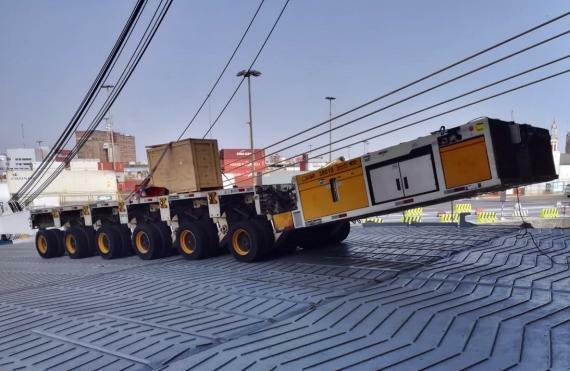 The shipment consisted of a 6-axle Heavy Duty Module & Power Pack Unit and was shipped from the Port of Rio de Janeiro to the Port of San Antonio in an RO/RO vessel. The loading and unloading of the module to/from the vessel was completed through the power pack unit with wireless control. The CTO Group was first founded in 1974 and has been realising successful projects ever since.